I’ll turn your current bike into a Bespoke Bionic Bike. Cruise at 25-35km/hr or go full power at 45km/hr if you wish. This is a mid drive conversion of your current bike. It’s super powerful and super light. The only requirement is that you supply the bike. That’s it. Hand over your bike, give me a day and I’ll turn you bionic. Contact Bret on 021576337, email Bret or fill out the form below. If you don’t have a bike, we can organise that too. 1 Year Warranty on all E-Bikes, Motors, Batteries, and Parts. After your 1 Year Warranty, I’m happy to offer you extended support. A 300 watt/hour battery that you’ll get around 30-40km of endurance. 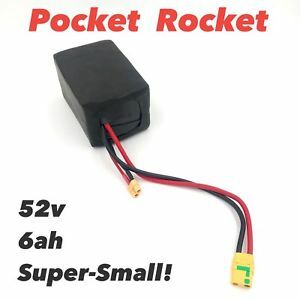 This is a small super light battery. It’s got a heap of power being 52 volts so gets up and goes. You supply the bike and I’ll build it bionic. All I need is your bike for one day, and I’ll leave you with a big smile on your face by the time I’m finished. I’ll take you through all the features of your new stealth eBike. People will look at you and wonder if you are bionic or hiding super powers somewhere in the frame. if you have your own bike the cost is $1725 for this retrofit. If you require a bike, we can organise that too after a discussion of your wants and needs. no thanks, I have my own bike. yes, I require a bike.